Jennifer Venditti/FacebookJennifer Venditti with her son, not long before the alligator attack happened. 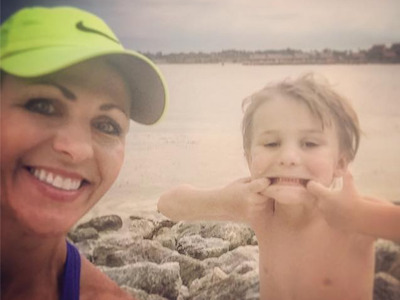 Jennifer Venditti and her young son were playing on the same stretch of sand less than an hour before the horrific attack. Now Venditti has posted photos of her son, Channing, in the exact same spot where Lane was killed. According to Venditti’s Facebook post, the gator attack happened around 9:00 p.m. Venditti and her son were there between 8:00 p.m. and 8:30 p.m. While some people have been critical of Graves’ parents, Venditti came to their defence. “I’ve already seen posts criticising the parents. I can assure you alligators were not on my mind at all when Channing was in the water. It’s a tiny beach, surrounded by pools, water slides, a restaurant and a fire pit. I can’t conceive that an alligator would be in such a busy, small space,” Vendetti wrote.